We had a great time pouring at last week’s Vin12 One Year Anniversary event. This was our second time pouring for them. 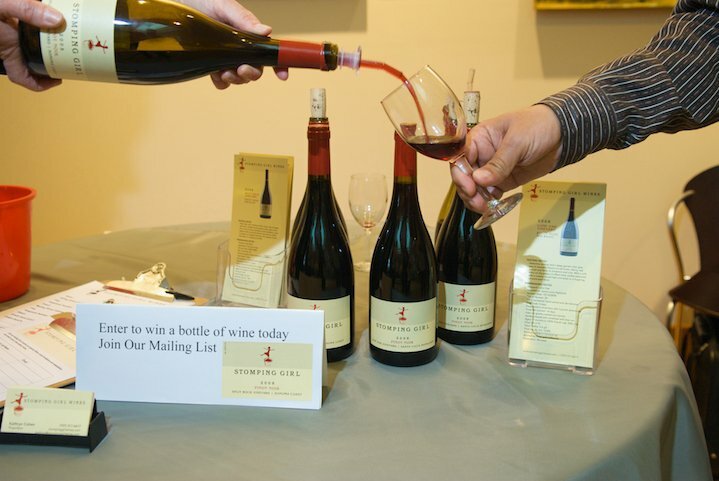 Vin12 holds monthly wine tasting events in San Francisco, each one a new wine theme. These events attract young, wine drinking crowds; some are Vin12 groupies who attend every Vin12 event, others are new to the scene. The events are held in a great spot called the Solarium in the lower floor of an office building on Second Street just below Market. Its location is convenient for the after-work crowd, the setting is very attractive and it’s a great opportunity to try some new wines. We’ll be pouring at some of their upcoming events (we’ll update our Facebook page when we pour.) If you plan to come to one, give me a heads up–I’ll see if I can get you a complimentary ticket.